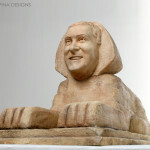 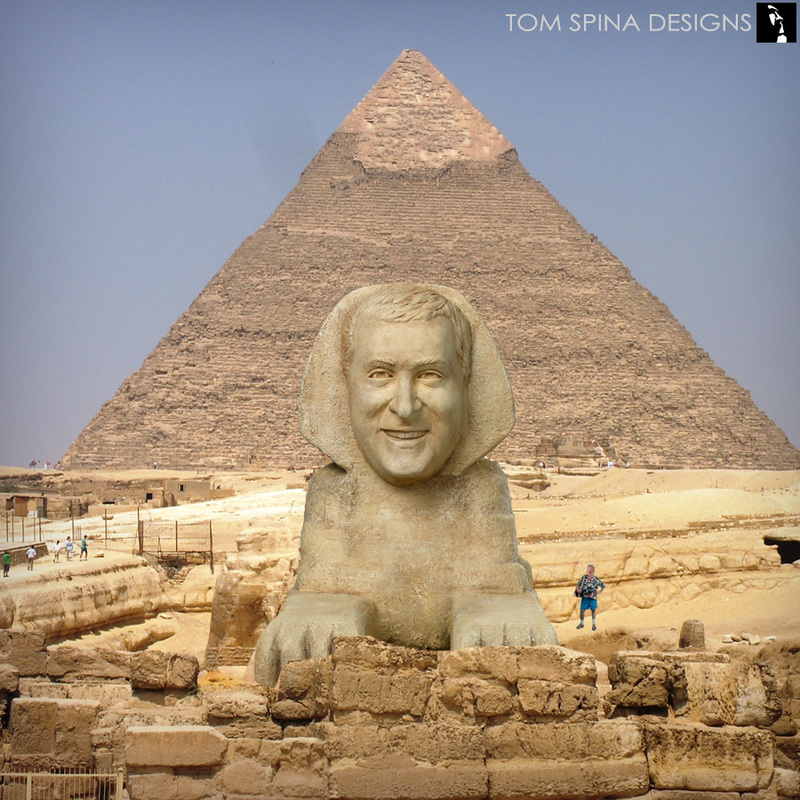 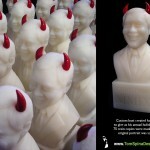 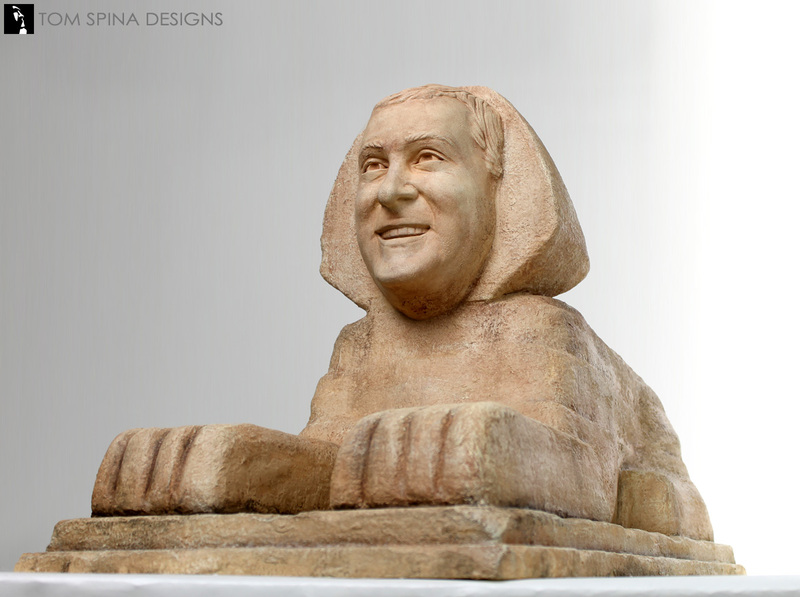 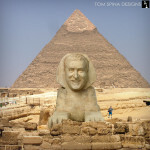 Want a gag gift sculpture of the Sphinx with your buddy’s face? You know who to call! 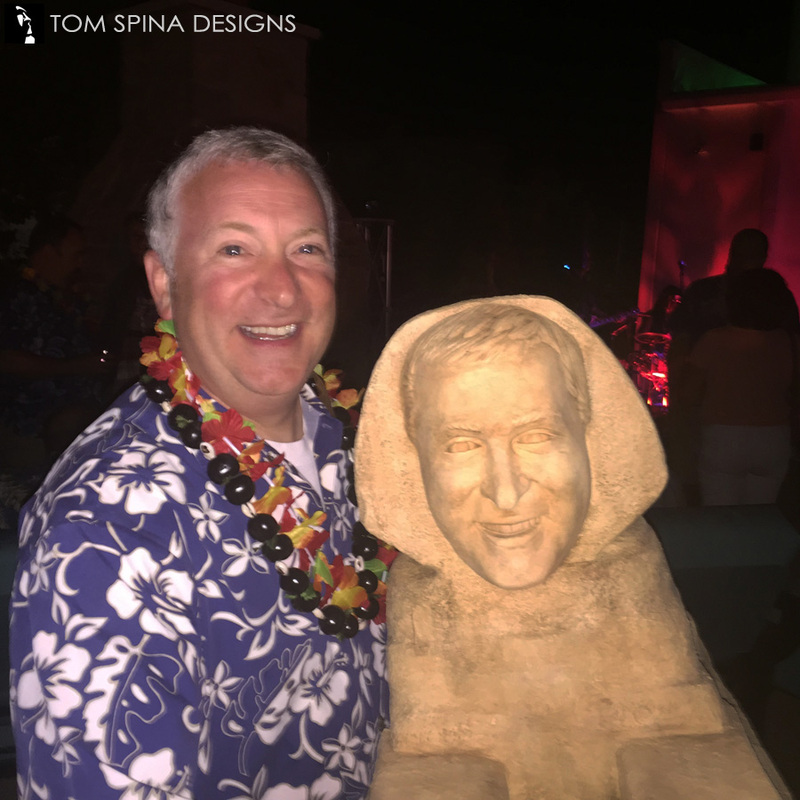 One of the things we love the most is a client with a sense of humor. 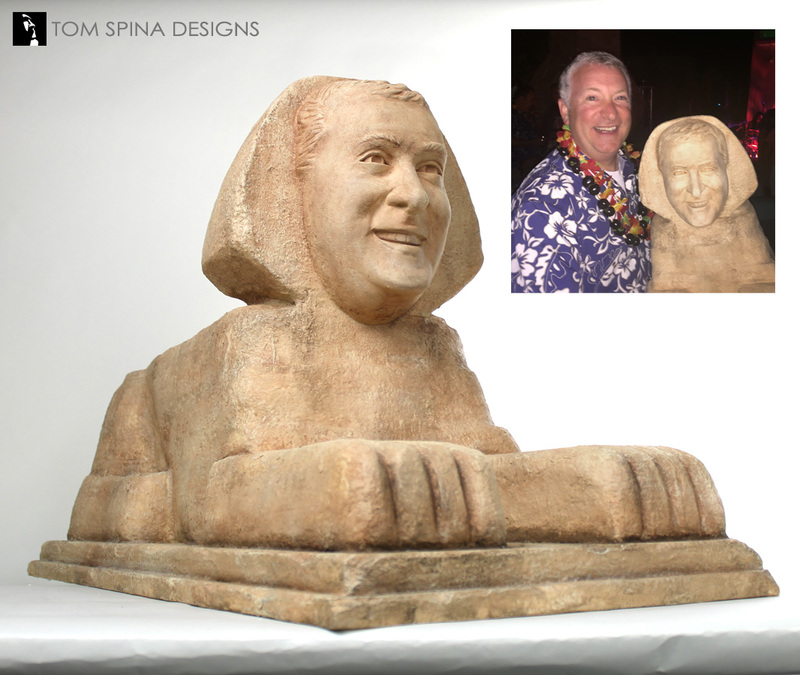 We were asked to create a monument to a client’s friend as a one of a kind birthday present and the result is this gag gift sculpture of Egypt’s Sphinx, but with his friend’s face! 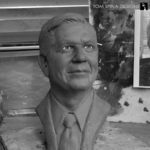 We began by sculpting the face of the statue from photos. 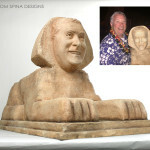 The clay sculpture was then was molded to create a resin head that we matched up to a hand carved foam body about three feet long. 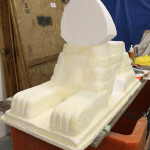 The body is made from EPS foam and coated for a stony texture. 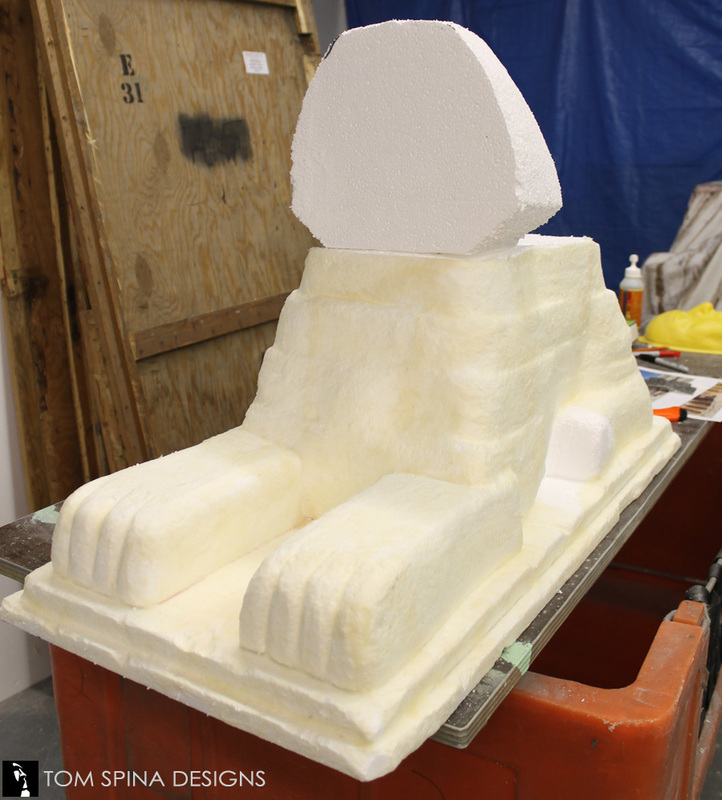 Once we had the face attached to the lion like body, and a plinth like base attached, the whole statue was painted and weathered to look like ancient stone. 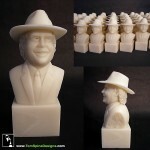 What looks like aged sandstone actually weighs very little, and creates a truly one of a kind gag gift! 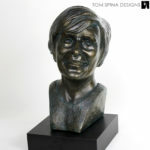 Do you want to give someone something they can’t get anywhere else?